This course is accessed through an online portal. You will be provided with a username and password allowing you to log in and view the lessons. 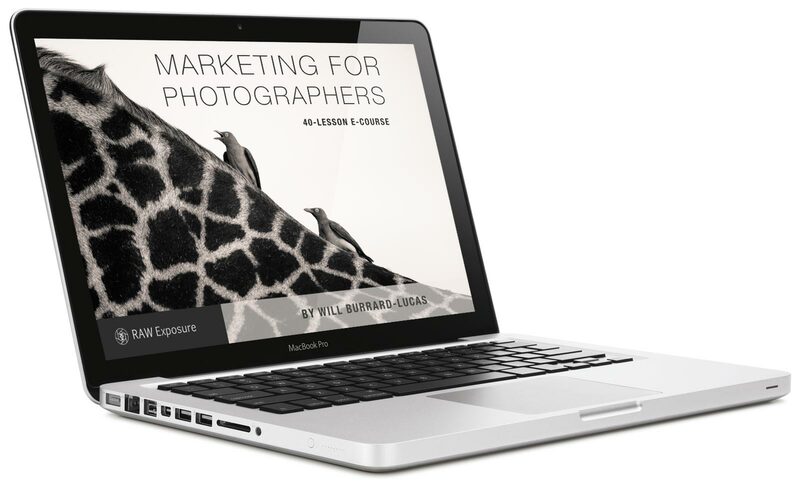 This is a comprehensive 40-lesson course on marketing for photographers. The course provides step-by-step instructions on how to set-up key aspects of your marketing strategy such as your website, newsletter and social media channels. It will teach you strategies and advanced techniques for gaining exposure, for example, how to get published in newspapers, how to get more website traffic and how to grow your social media following. More advanced strategies such as advertising and leveraging viral content will be covered towards the end of the course. Where appropriate, video tutorials will be included to illustrate certain lessons. Each lesson will give you tools and clear action points to help you achieve the lesson objectives. Below is a summary of the key areas that the marketing course will cover. These topics will be broken down into 40 lessons and delivered in a logical order. Larger topics may be split out into several lessons. 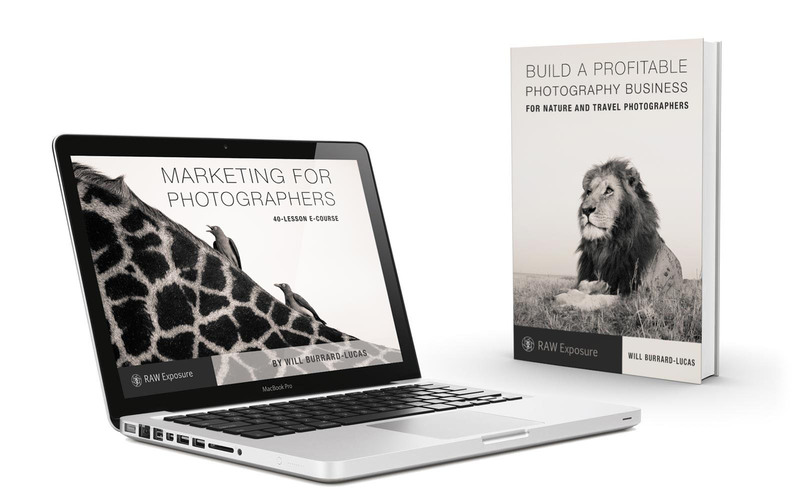 Get this course with my Build a Profitable Photography Business ebook. I am an aspiring wildlife photographer and I study media science at a University in Germany to strengthen my background in marketing and everything that is related to media. I find this course to be great additional assistance towards reaching my goal in becoming a professional within this business. It gives invaluable information about marketing as well as “getting your name out there”. This course is extremely helpful for every aspiring photographer, especially in a highly competitive field like wildlife photography. Being a wildlife artist and photographer, getting my work out there was a little slow and this course was very informative and helpful. This course provides many avenues of ideas and ways of getting “out there”, that I hadn’t even thought of. The lessons are very clear, precise and informative, with valuable information that is very helpful in promoting my works. I’m looking forward to putting these lessons to work for me. I highly recommend this course for any type of photographer. I can say that this course applies not only to those photographers who aspire to turn 100% pro, but also to those that want to reach a broader audience with their work. The course in itself is clear and straight to the point, most of the times with concrete examples from your own experience. I would say that although the course contents are not rocket science, it takes a lot of research and trial and error to reach the conclusions that give birth to the lessons. The tips are useful and help the reader choose the right path instead of spending months wandering and testing several hypothesis. The course organization starts from the basics, the most fundamental part of having a business, defining a target and building the tools to reach that target. Nonetheless, reading further lessons helps building the bridge to get a connected brand as soon as possible. I’m very happy you created this course. Knowing you and knowing your work is an assurance for a quality product. It didn’t disappoint and you saved me lots of working hours of research to reach your conclusions.